Looking for some recipe ideas for your dehydrator? Take a look below at these easy dehydrator recipes that I've collected. I'll bet you'll want to try them, too! There's so much to love about a dehydrator. It saves you money, helps you make nutritious foods, and gives you an easy way to preserve foods without canning. By the way, if you want a recommendation, the dehydrator that I use is like the one to the right. It's made by Excalibur, and I bought it on Amazon. It comes in different sizes, but I have the 9-tray model. It does a great job and allows me to dehydrate a lot of food at one time. 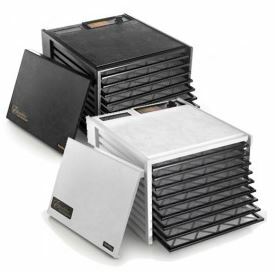 You can click here to find the current price of the 9-tray Excalibur dehydrator at Amazon. Here are some of my favorite ideas for using a dehydrator. You can skip to whatever catches your eye in the quick navigation, or scroll down to see them all. Homemade yogurt tastes so much better than store bought, and it's a lot less expensive. You can also choose what kind of milk you want to use. I like whole milk yogurt, myself, and it's hard to find at the supermarket. So that's another reason I like to make my own. Making yogurt in the dehydrator is easy. You just heat up a quart of milk, then cool to the right temperature, and stir in a tablespoon of yogurt. Pour it into a Mason jar and then keep it warm in the dehydrator for 8-12 hours. Then you can use some of the yogurt you made to start another batch, and keep it going. Maintaining the right temperature is super important when you make yogurt. That's why the dehydrator is perfect for the job. You can keep it at the exact temperature you need so you don't kill the active cultures. Get the detailed instructions here. You can save a lot of money by preserving the herbs from your garden. You could bring them in and hang them up to dry, but it's a lot easier with a dehydrator. One of my favorite herbs to dry is dill weed. Can't get enough of it! After drying, put the herbs in jars and label them. You'll want to keep them in a cool dark place, like your pantry. 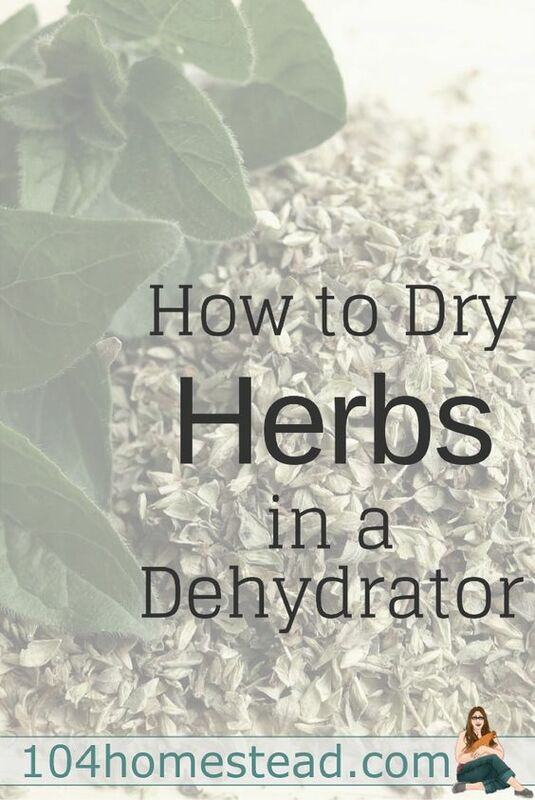 Learn how to dehydrate herbs at The 104 Homestead. 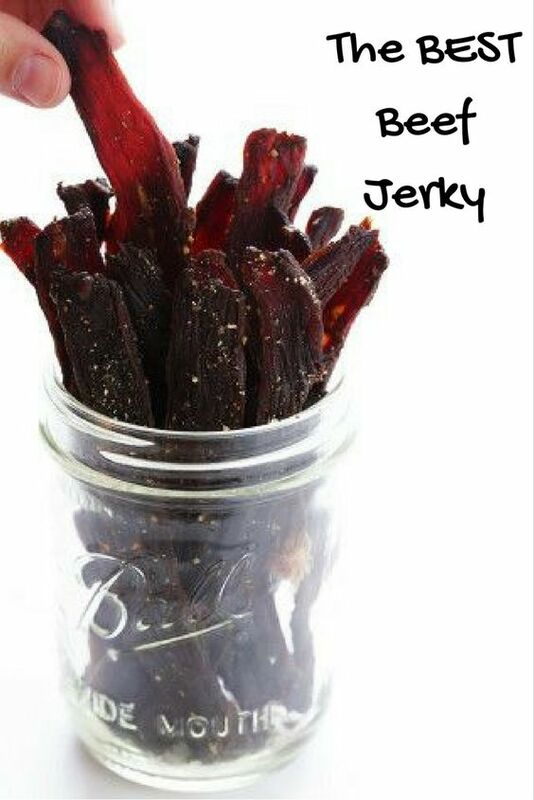 Seriously, now - who doesn't love beef jerky? But boy, it can be pricey! The good news is that you can make it at home for a fraction of the cost. A dehydrator will give you better results than if you do it in the oven. According to the recipe, you just slice the steak, marinate it in a plastic zipper bag, then stick it in the dehydrator for 8 hours or so. It'll keep in the fridge for up to a month. Ok, so they're not SUN-dried, but no one will know the difference! This is a great way to use up some of those extra tomatoes from the garden. You slice, season and dehydrate them, then layer them with garlic and herbs in a jar. Finally, pour in olive oil to cover them, and put on the lid. Keep them in the fridge for 4-6 weeks. 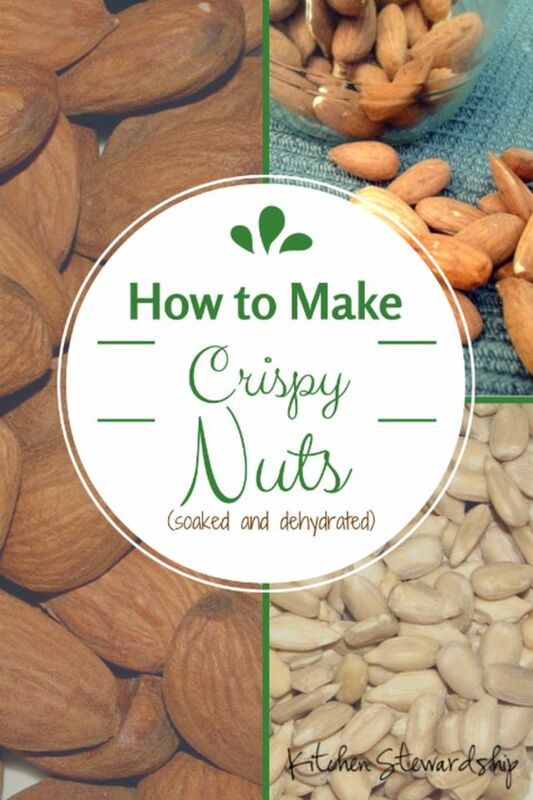 Soaked nuts are more nutritious and easier to digest than non-soaked nuts. I think they taste better, too. You know how walnuts can have a bitter taste sometimes? They lose that when you soak them. The nuts have to be dried properly after soaking. You can do it in the oven, but it's easier and more economical to do it in a dehydrator. They're great for snacking or for using in recipes. This article from Kitchen Stewardship explains how to do it. Most of the banana chips you buy at the store are deep fried, so they have a lot of fat. You can make your own fat free banana chips in your dehydrator. Just slice and dip in lemon juice, then dehydrate. They're not going to be a crunchy as fried chips, but they're much better for you. They make a tasty snack, and the kids will love them, too! Sweet potato chips? Yes, please! Especially when they're healthy like these ones made in the dehydrator! Slice up some sweet potatoes and give them a light coating of coconut oil. Sprinkle with salt and dehydrate. Hint: You might want to use a mandoline slicer like this one to make the slicing easier and to get uniform thickness. That's important when you're dehydrating! C﻿heck the current price of the Mueller V-Pro Manoline Slicer at Amazon here. There's so much more that you can do with your dehydrator. These recipes are just barely scratching the surface! Maybe you're thinking about buying your first dehydrator or you're looking for a new one. If you could use a little guidance, I think you'll find my guide to choosing the best food dehydrator helpful. What's your favorite way to use your dehydrator? Tell us about it in the comments below.